Javier Córdova, Ecuador Minister of Mines, and Ron Hochstein, President and CEO of Lundin Gold. 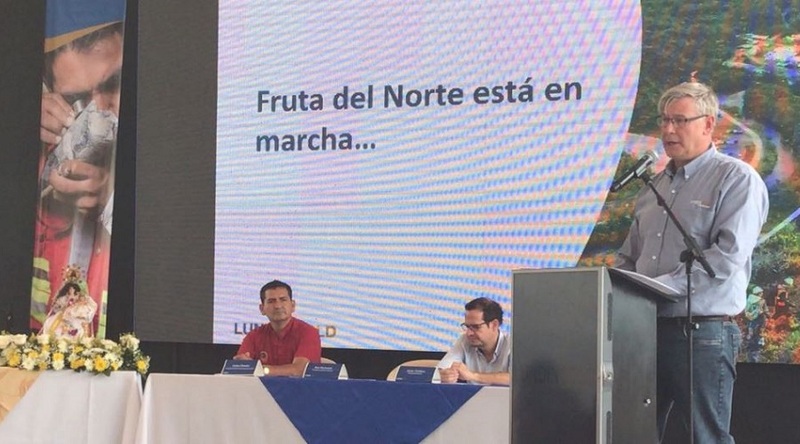 Together with Ecuador’s Ministry of Mines, Canadian Lundin Gold (TSE:LUG) officially inaugurated two tunnels at its Fruta del Norte gold-silver project, located in the southeastern province of Zamora Chinchipe. The tunnels were named Kuri, which means gold in the Indigenous language Shuar, and K’isa, which means fruit in Quechua. 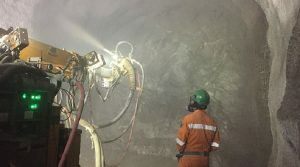 Following the completion of soft tunneling in December 2017, mine development moved into hard rock, the company explained in a press release. To reach this stage, Lundin staff had to work through 77 metres of saprolite or soft clay in the first decline and 69 metres in the second. Drilling and blasting in hard rock started on December 7, 2017, in the first decline and December 17, 2017, in the second. Currently, the advance in hard rock has reached 100 metres and 78 metres, in the first and second declines, respectively. These milestones mark the beginning of construction of the underground mine, which is expected to produce 340koz of gold per year over 13 years. Probable Mineral Reserves are of 4.8 million ounces of gold and 6.34 million ounces of silver, which make it Ecuador’s largest gold project. According to Hochstein, the EIA for the 43.83-kilometre powerline received final approval at the end of 2017. The company, he added, is waiting for a few easement agreements with affected landholders to be completed. Meanwhile, earthworks on the process plant are 13% complete with concrete mill foundations planned to start in the first quarter of 2017. “Regardless of difficult ground conditions, site earthworks are on schedule,” the Vancouver-based miner said in the statement. Lundin has paid $45 in anticipated royalties and should pay additional $20 million in 2018. Ecuador expects to receive $1 billion from royalty payments throughout the 13 years of mine life.